Get a Great Dryer Vent Cleaning in Fort Pierce FL Lint and nesting materials (from animals that have entered your dryer vent) can easily spark a fire, especially if your dryer is running at higher temperatures. Unfortunately, a vent clogged with nesting materials and lint will typically run at higher temperatures and will likely run for longer periods (in order to sufficiently dry the clothing inside). Protect your family and assets from fire – have your vents regularly inspected and cleaned! 1st Quality Restoration uses an effective and tidy process to do your Dryer Vent Cleaning in Fort Pierce FL. Employing a high-powered vacuum, we flush air through your vent while using special rotating rods and brushes to loosen dirt, lint and debris from the walls. 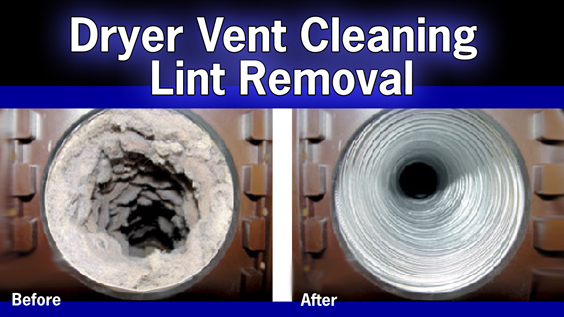 This method, known as dryer exhaust cleaning, has proven to be an extremely effective method for cleaning dryer ducts and helps keep lint and other debris from entering your air supply during the process.